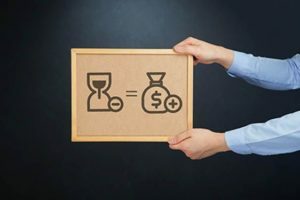 According to the Fair Labor Standards Act (FLSA), overtime is hours that exceed the normal 8 hours of work in a day or 40 hours of work in a full-time week. An employer who works these hours is entitled to nothing less than one and one-half times the regular rate of pay. Some employees disregard this and don’t pay their staff adequate compensation. If you are being shortchanged in this regard, it is advised that you file a complaint with the Human Resource Department of your organization; afterward, you should speak to an attorney in order to get practical guidance in the steps you will need to take towards resolving your case. Getting a competent attorney will ensure that you have a great chance of achieving your goal. Rawa Law Group, a revered legal establishment here in California can afford you all the competence and experience you need. With us, you are guaranteed a stellar representation from our finest Wage and Hour attorneys here in Torrance. We have worked through twenty years of existence to bring smiles to the faces of many of our claimants. We promise to put our best hands on your case and leave no stone unturned in order to get you great results that you desire. Note that you will not be required to make any prior payments before we handle your case. We will only be paid after you’ve won your case.